Simon and Schuster. Good in Good dust jacket. 1935. First Edition. Hardcover. C-Cover may be different than that pictured. This book has a blue cloth cover with a plain front cover. On the spine is the title in gilt with some gilt decoration. Covers are moderately worn with heavier wear at corners, along edges and at spine ends. DJ is of heavy white paper and pictures color drawings of ships on the front and back with flags on the spine. DJ is double thickness and unfolds to a colored illustration inside of a map of the world. There are major tears and some chipping along the fold of the map which would also be the top edge of the folded DJ. DJ now in protective jacket. A little damp staining visible in the gutters of a few pages. Age toning to end pages. Many black and white illustrations. Signed by Hendrik Willem van Loon on front end page. Binding sound, text clean. Due to size and/or weight of the book I can only ship it domestic mail. Most orders shipped within 24 hours. A Little Store that's BIG on Service. ; 5000 B.C. 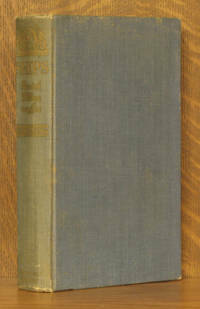 - A.D. 1935; 2 x 9.4 x 6.4 Inches; 318 pages; Signed by Author . London: G. G. Harrap & Co. Ltd, 1935. DJ tanned, rubbed, chipped and price clipped. Some light wear and fading to cloth and painted top edge, else clean and tidy.. Cloth. Good Plus/Good. 8vo. George G. Harrap & Co. Ltd., 1935. Hardcover. Good/Good. 1935. Reprint. 304 pages. Pictorial dust jacket over blue cloth with gilt lettering. Contains illustrated pages. Mostly clean pages with light tanning and foxing to endpapers and page edges. Inscription on front endpaper, with a few small nicks to text block edges. Occasional finger marking to page edges. Light tanning along spine and board edges. Mild rub wear to surfaces and edges with crushing to spine ends and minor bumps to corners. Mildly chipped dust jacket has a few creases, scuffs and small tears. Light tanning and foxing. Rubbing with shelf wear. Price clipped. Condition: Good condition chipped d.j. NY: Simon & Schuster. VG. 1935. 3rd Printing. Hardcover. Stated third printing bound in blue cloth with gold spine lettering. I llustrated by the author through-out including the dust jacket illustr ation. The jacket folds out into a 18" X 20" map of the world's great discoveries via ships on the verso. Tall 8v0 (9.50" X 6.00") size, 318 pp. A very good copy in a very good dust jacket. The book's gilt spine lettering is rubbed and its spine is slightly faded. Former owner's n ame and date (1935) inked on the front fly. The dust jacket has a 1" c hip on the bottom of the rear panel which shows on the blank margin on the map on its verso. It has a seam or fold tear in the middle of the map fold. Small chips to the corners and at the head and heel of the spine. Heavy tanning to the spine and tanning to the panels. .
New York: Simon & Schuster, 1935. Hardcover. Good. First edition. Good, book has slight rubbing of spine and edges of cover, minor foxing of pages. Please Note: This book has been transferred to Between the Covers from another database and might not be described to our usual standards. Please inquire for more detailed condition information. N. Y.: Simon & Schuster, 1935. cloth hard cover is in very good condition with light wear to extremeties and the dust jacket is in good plus condition with some chipping to bottom edge and some wear to extremeties which unfolds to be a world map. is a stated fith printing. copy is unmarked and tightly bound. 318 pages includes index.. 5th Printing. Cloth. Very Good/Good Plus. Illus. by Illustrated. 8vo - over 7¾" - 9¾" tall. George G. Harrap & Co., 1935. 1st edn 2nd mpr. 8vo. Original gilt lettered blue cloth, top edge blue (spine ends and corners bumped; page edges spotted), dustwrapper (spine and extrems tanned - in protective wrapper, not price clipped). Pp. 304, illus with b&w drawings in text (endpapers and prelims tanned/spotted; previous owner's ink inscription on front pastedown). NY: Simon & Schuster, 1935. 6th printing; dj w/chipping, lite loss of paper, ; owner's name; 304 clean, unmarked pages/index. Hardcover. Very Good/Good. Illus. by Van Loon, Hendrik William. 8 Vo; 2 Pounds. Simon & Schuster. Good with no dust jacket. 1935. First ed; Fourth Printing. Hardcover. 5000 B.C. - A.D. 1935; 8vo 8" - 9" tall; 318 pages . London: George G. Harrap, 1935. A very good copy in the original blue cloth lettered in gilt on the spine. Previous owner's blind stamp. A little fore-edge foxing. 304pp. Profusely illustrated.. First Edition. New York: Simon & Schuster, 1935. Good/No DJ. 8vo = over 9". Spine is cracked. Cloth covers are worn and faded on the spine. Boards are scuffed and bumped. Previous owner bookplate on front endpaper. Jan 01, 1935. Hardcover. Fair. FOXING ON SOME OF THE PAGES OF THE BOOK.Offered by the UK charity Langdon: supporting young people with disabilities.